As an amateur travel blogger, you can't imagine how ecstatic I am when I saw the announcement of Macau Your Way to An Experience of A Lifetime! Kam ngam geh! literally means what a coincidence in Cantonese because I've been longing for a trip like forever. The last trip I had was at our neighbouring country more than 6 months ago so it's about time. It is exceptionally rare to encounter a contest where blogging is associated with tourism. The best part is it is an all-expense paid trip! All thanks to Nuffnang and Macau Government Tourist Office (MGTO), they help making dreams become reality. Macau, I am so looking forward to see you! By means of this contest, I spent days thoroughly doing research on Macau hence providing me a great insight of the astounding city. Similar to Hong Kong, Macau is one of the two Special Administrative Regions (SAR) of the People's Republic of China. It is the first and last European colony in China dated back from 16th century to its independence from Portugal in 1999. As of 2014, Macau has a population of 624,000. Despite being lowly populated, it is ranked as the world's most densely populated place. The locals are called Macanese. They speak mainly Cantonese, Mandarin and Portuguese. Macau uses a currency known as Pataca (MOP$). As quoted by Forbes, Macau is "Vegas on Steroids" which has topped Las Vegas by 6 times in gambling revenue. Let's get back to the point. The main reason why I want to win this contest so badly is because I have NEVER been to Macau. Consequently, I have to use photos from other sources and these spellbinding photos are repeatedly triggering me to pursue my wanderlust desire. What makes Macau so special is their one of a kind diverse culture. I was so fascinated by the Chinese Portuguese fusion in their buildings, food and people. I am also curious on how Portuguese is infused in their language so I am enthusiastic to have a conversation with the locals. Macau's heritage architecture interjects a piece of European feel to the ambiance. Having the closest I can get to Europe, I might wanna take a whole lot of selfies with the prominent landmarks. Ruins of St. Paul's monumental façade could easily leave one in awe. The Church of Mater Dei was destroyed in a fire during a typhoon in 1835 leaving the only structure you see here standing precariously on the edge of a slope. In front of the imposing ruin lies a couple sculpture which I am intrigue to find out the romantic epitome behind. 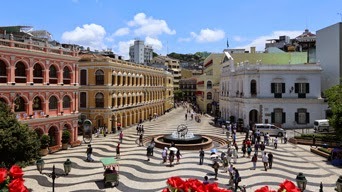 Senado Square is a public urban center covering 3700 square meters. Surrounded by repleting elegant neo-classical buildings, I never would have guessed this is in China. 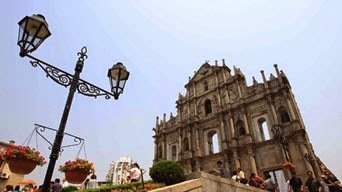 Leal Senado Building, Macau Cathedral, St. Domingo's Church, Ruins of St. Paul and Macau Museum are just a walking distance from Senado Square. The goddess Kun Iam is a Buddhist deity of mercy. I simply adore this marvelous bronze statue on a dome shaped lotus edifice that is located on a man-made island. The sight of nonchalance upon azure blue ocean houses a souvenir shop, multi-function room and a library. A vacation to a Chinese country would never be complete without visiting the temples. I am especially attracted to A-Ma temple because it is where Macau got its name. 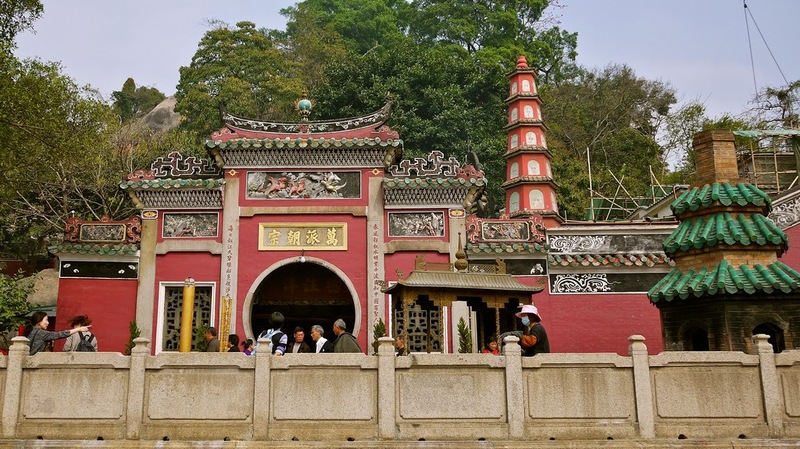 A local fisherman built the temple named A-Ma on a hill and the nearby bay became A-Ma-Gau hence Macau earned its name. Besides heritage hunting, food hunting will be one of my main jam in Macau. I can't help salivating just by looking at the photos. Hou sek ah! (Delicious!) Apart from distinguished food like egg tart and pork chop bun, I will be expecting a full arsenal of authentic Portuguese fare; baked chicken in bread, cod fish balls, baked Bacalhau (salted cod fish) rice, grilled sardines and glorious seafood cataplana. Macau itself is synonymous with their soft and creamy Portuguese egg tart. Overrated much? Not for me being particularly anticipating to relish this golden pastry. You can easily find these famous egg tarts along the streets of Rua do Cunha in Taipa Old Village where the stalls are inevitably swarmed with patrons. Whoa! Can you handle the look of succulent crab and its juices diluting in the porridge? This savoury crabilicious dish is the bomb! 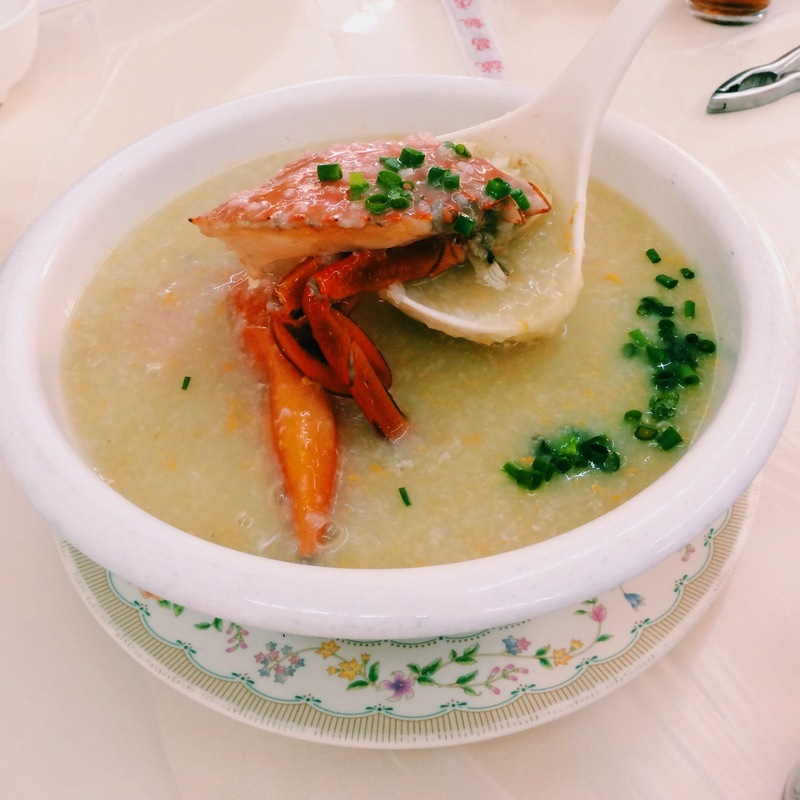 Wish I could taste the sweetness of the crab porridge right now. Source from Where is FatBoy? Another signature dish in Macau is shrimp roe noodles. This is definitely new to me as I never would have thought of such combination. Springy handmade noodles are tossed in soy sauce dressing and sprinkled with shrimp roe. Reviewers stated this divine platter has a mild salty taste and each bite is a mouthful of flavours. I have never heard of this dessert before but all hail to this contest I made a discovery of a heavenly rich creamy treasure. 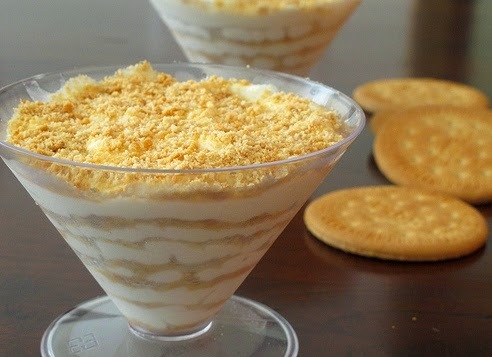 Serradura, also aptly known as Sawdust Pudding, consists of whipped cream incorporated with condensed milk and topped with biscuit crumbs in repeated layers. Another dessert? Well, why not. We all love to indulge in desserts, don't we? 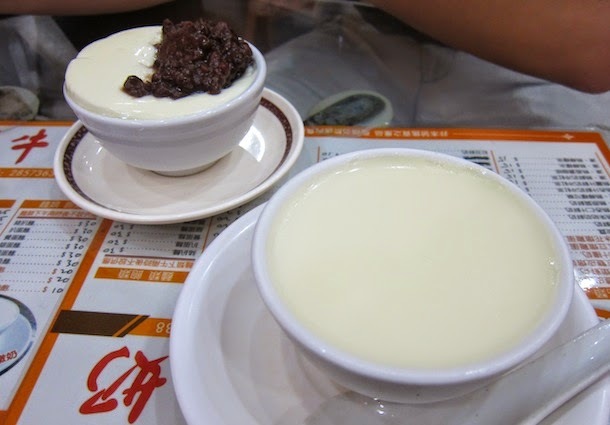 This smooth textured delight is sometimes known as double layer milk pudding. An unusual method in making this pudding is just by adding ginger juice. Warm milk will magically coagulate upon contact with ginger juice without other catalyst like gelatin. You can add various toppings like red bean, gingko and almond. I have a bucket list of things to do in Macau that I can't wait to execute. Among them are visiting landmarks, chatting with the locals, trying its authentic food, watching greyhound racing and mermaid show, bungee jumping from the top of Macau Tower (or maybe not) and who could forget shopping! To top on that, I discovered the impeccable City of Dreams. The Boulevard in The City of Dreams is famous for its enticing variety of luxury designer goods. This is truly a dream for everyone, not just ladies. Forgive me for exaggerating but I couldn't help it. But hey, I promise to bring home a bunch of souvenirs if I get to win this contest. Visiting museums is the best way to know about Macau in depth. Macau Museum is the biggest museum in the city located on the distinguished Monte Fortress. The exhibition building encompasses 3 levels; 1st floor introduces to origins of civilization, 2nd floor showcases arts and traditional culture while 3rd floor manifests contemporary prospects of Macau. Macau is hosting its 61st Grand Prix on 13 - 16 November this year. 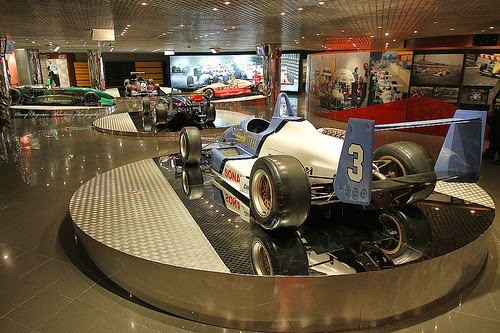 For those who are unable to watch it live, fear not for you have the opportunity to see the exhibits up close in the Grand Prix Museum. Being a sporty freak, I would be overwhelmed by abundant race car displays. 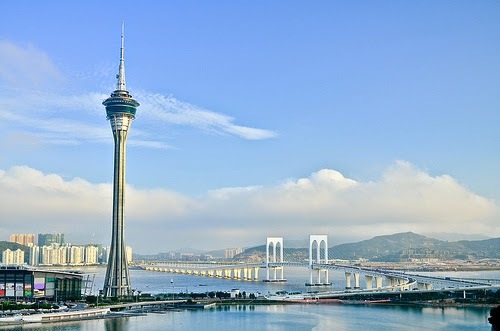 Macau Tower measures 338m above ground and has an observation deck offering panoramic views of Macau. Feeling adventurous? Then you might fancy Bungy Jump, SkyJump, Skywalk X and Tower Climb. If I ever chicken out from Bungy Jump, I would definitely try Skywalk X which creates lesser adrenaline. Omg! Would you look at these cuties! 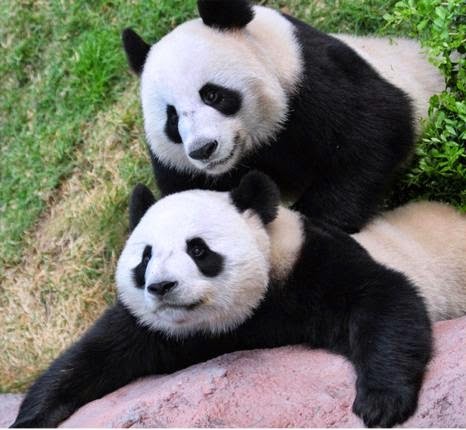 I couldn't resist to pay a visit to Macau Giant Panda Pavillion which is the home to two rare giant pandas, Kai Kai and Xin Xin. This fun attraction could send children to joy in exultation. 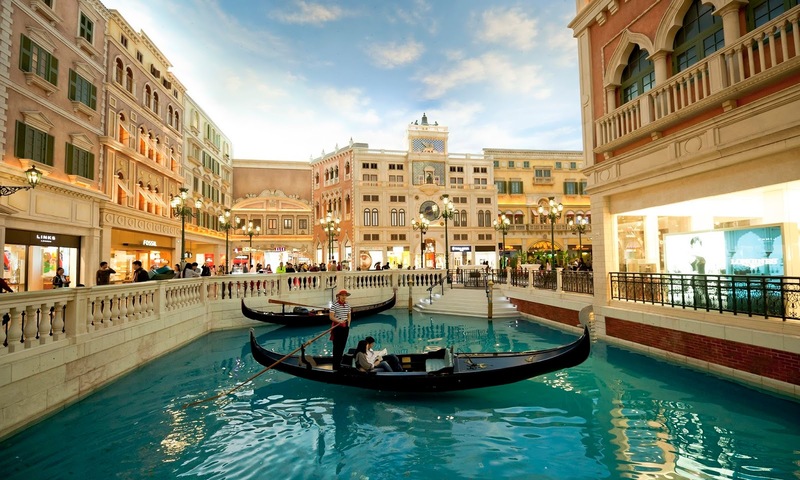 Presumably, The Venetian is one of the most lavishing casinos in Macau. I always have an impression of The Venetian being a "little Venice". Do feast your eyes on their flamboyant Italian deco and ride on the serenading gondola along St. Luca, a romantic man-made canal. 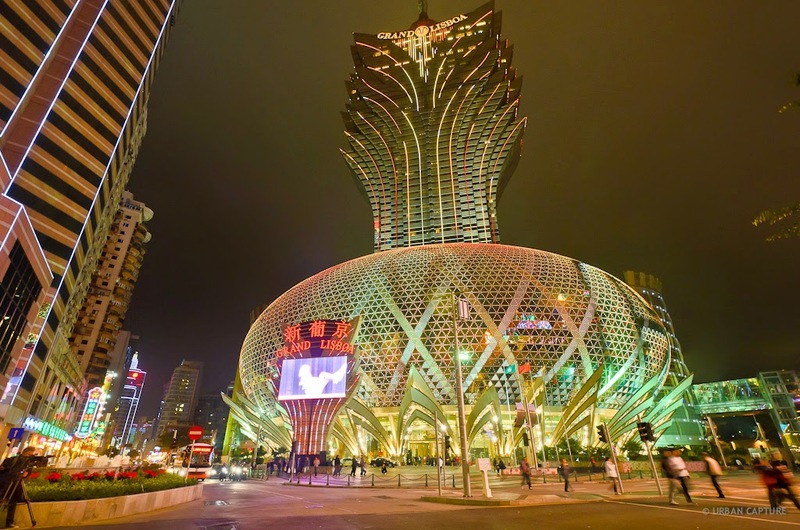 Perhaps the most iconic urban structure is the exquisite Grand Lisboa. Similar to The Venetian, this lotus-shaped skyscraper houses casinos and a luxury hotel. Such meticulous masterpiece will only compel me to bewilder in admiration. Do take some time to explore MGTO's informative website which will assist you greatly. Before You Travel offers immense guide and tips for travelers in preparation of a trip to Macau. Boy am I glad to have discovered a useful application on MGTO's website. Trip Planner is here to solve the hassle in organizing your trip. Here's my roughly planned itinerary. I shall start Day 1 with tour of Arts and Culture. Tour of Macau World Heritage would be on Day 2 as it is advised by travel bloggers to arrive at the sites early. Finally, free and easy on Day 3 to relax and shop. Do explore MGTO's Interactive Corner. There are lots of apps for your mobile like MacauMap which might come in handy. Are you excited to visit Macau? Here's how you can participate too. 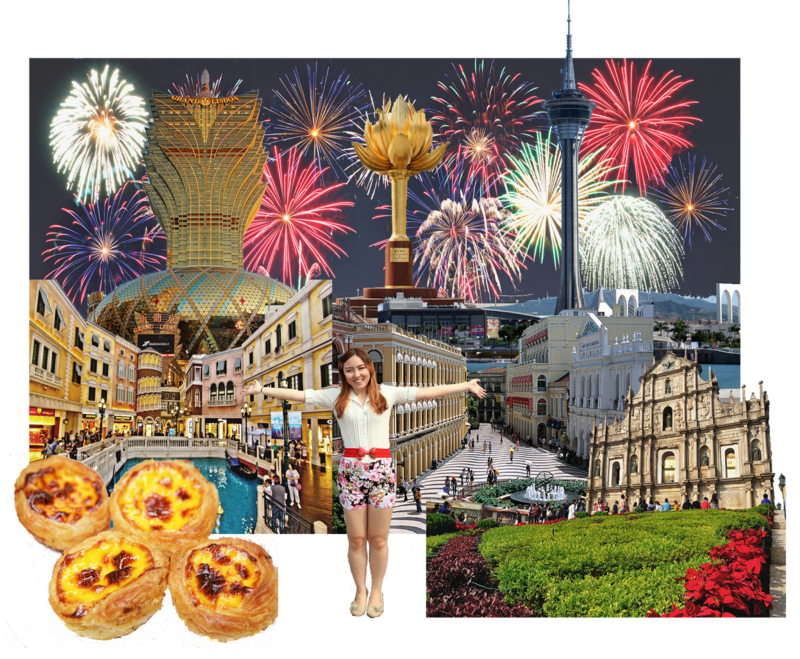 Just go to Nuffnang's blog post entitled [CONTEST] Macau Your Way to An Experience of A Lifetime! and you will get all the info you needed. Nuffnang and Macau Government Tourist office (MGTO) are sending 3 lucky winners. Contest ends on 23rd November 2014 so better hurry! Fingers crossed hoping I can be blessed to win this all expenses paid trip thus publish my very own photos and blog about of Macau soon. It would be remarkable to share my point of view of Macau to readers out there. that serradurra looks very tempting! Thanks for dropping by. Yeah it looks so yummy. Hope we can try that soon. 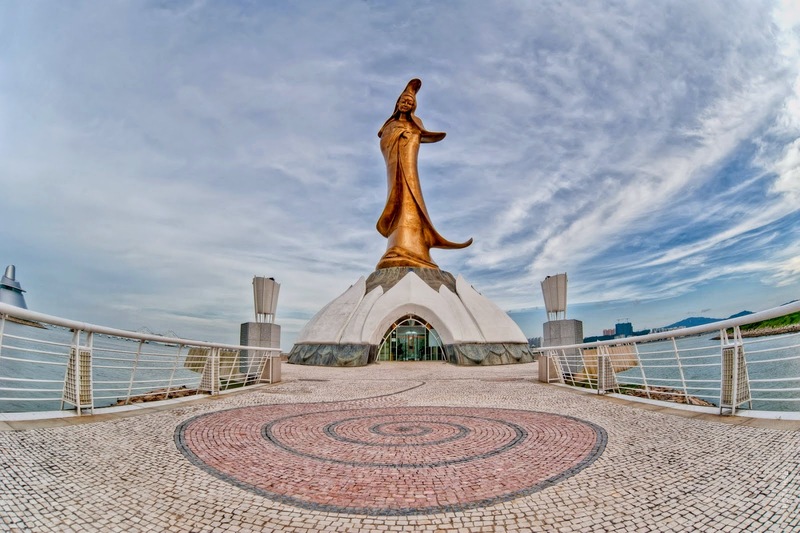 This very detailed and interesting account of Macau will definitely attract more tourists as would be visitors will now be more aware that Macau has so much more to offer than just only casinos. Wow... so woww! should read your blog first before done entry... all the best ya! Thank you so much dear! Your blog is very nice too. The very best of luck to you girl! Awesome write-up. awesome! All the best to u!! Good luck! Hope you're one of the lucky winner. Terima kasih, sis. Sungguh teruja..